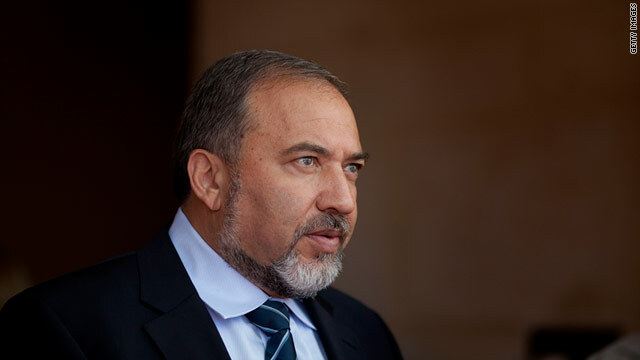 Israeli Foreign Minister Avigdor Liberman has warned of dire consequences. NEW: A U.N. report says Israeli occupation is keeping Palestinian politics "stagnant"
Jerusalem (CNN) -- The unilateral declaration of a Palestinian state would have "dire consequences," Israel's foreign minister warned Wednesday, a day after Palestinians said they would take the proposal to the United Nations. Avigdor Liberman did not elaborate in his comments on Israel Radio, but said previous Israeli concessions like the withdrawal from Gaza had not resulted in peace. Frustrated with stalled negotiations with Israel, Palestinians plan to appeal to U.N. member states to recognize their territories as an independent country. But a United Nations report warned Wednesday that the Palestinians are not yet ready politically for statehood, even while it said the government did carry out basic functions. "Government functions are now sufficient for the functioning government of a state," the U.N. Special Coordinator for the Middle East Peace Process said, calling it "considerable achievement." But Israeli occupation has contributed to keeping Palestinian politics "stagnant," Robert Serry's office warned. "There is only so much that can be done in conditions of prolonged occupation, unresolved final status issues, no serious progress on a two-state solution, and a continuing Palestinian divide," Serry said. The Palestinians currently have non-state observer status at the United Nations. The United States has said it will veto full Palestinian statehood if the question comes to the U.N. Security Council. "It should not come as a shock to anyone in this room that the U.S. opposes a move in New York by the Palestinians to try to establish a state that can only be achieved through negotiations," State Department spokeswoman Victoria Nuland said last week. "So yes, if something comes to a vote in the U.N. Security Council, the U.S. will veto." Instead, the Palestinian Authority is expected to go to the General Assembly, where it could get "observer state" status, similar to the position that the Vatican currently holds. A vote in its favor is all but assured. 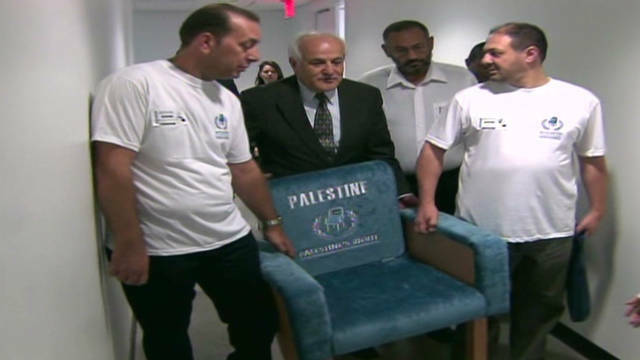 "Some of the members of the United Nations, important members, it seems to me that they're coming to the realization that this is not theatric, because this is real," Palestinian U.N. envoy Riyad Mansour said. The upgraded status would give the Palestinians greater access to U.N. agencies, including possibly the International Criminal Court, where it could make criminal claims against Israel. The Obama administration has expressed concern that Palestinian action at the United Nations could intensify conditions on the ground and delay already-stalled negotiations with Israel. "Our objective is not to intensify with anyone or to isolate anyone, or to de-legitimize anyone," Mansour said. "Our objective is to legitimize our rights and to advance the cause of the two-state solution." The U.S. State Department has sent two diplomatic envoys to the region to help Mideast Quartet envoy Tony Blair gain Israeli and Palestinian approval on a Quartet statement on a set of principles in advance of the Palestinian bid next week. CNN's Paul Colsey contributed to this report.